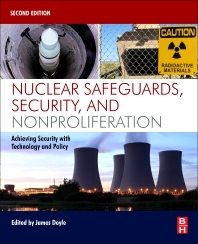 Nuclear Safeguards, Security and Nonproliferation: Achieving Security with Technology and Policy, Second Edition is a comprehensive reference covering the cutting-edge technologies used to trace, track and safeguard nuclear material. Sections cover security, the illicit trafficking of nuclear materials, improvised nuclear devices, and how to prevent nuclear terrorism. International case studies of security at nuclear facilities and illegal nuclear trade activities provide specific examples of the complex issues surrounding the technology and policy for nuclear material protection, control and accountability. New case studies include analyses of nuclear programs of important countries, such as North Korea, Iran, and Kazakhstan, among others. This is a thoroughly updated, must-have volume for private and public organizations involved in driving national security, domestic and international policy issues relating to nuclear material security, non-proliferation, and nuclear transparency. James E. Doyle has worked in the Nuclear Nonproliferation Division at Los Alamos National Laboratory since 1997. His professional focus is on systems analysis, strategic planning, and policy development. Dr. Doyle holds a Ph.D. in international security studies from the University of Virginia. He has managed cooperative projects with Russia’s nuclear weapons institutes on the development of technologies and procedures for monitoring the dismantlement and storage of nuclear warheads and fissile materials. Previously, Dr. Doyle was a senior policy analyst at Science Applications International Corporation.